Group SJR, which Jutkowitz will continue to lead, posted 26% revenue growth in 2016. NEW YORK: Hill+Knowlton Strategies has named Alexander Jutkowitz as CEO of H+K U.S., succeeding Beth Balsam, according to a memo from global chairman and CEO Jack Martin obtained by PRWeek. Balsam has left the WPP firm. The agency also named Erin Gentry, most recently EVP and global head of client services, as U.S. president. 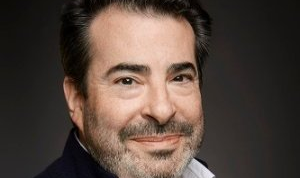 Jutkowitz is currently the agency’s chief global strategist and CEO of Group SJR, a digital and content firm acquired by Hill+Knowlton in 2013. He will retain his position as chief executive of Group SJR, which will continue to operate independently but with "deepened and increased interaction between H+K and SJR through this appointment," according to the memo. "I could not be more bullish about the future of H+K U.S. under Alex’s leadership. SJR continues to be a standout performer, not just within H+K, but all of WPP," Martin said in the memo. "As I’ve noted, SJR was a dominating force in our success and growth in 2016." Martin has credited Group SJR, along with Ideal in Latin America and its London creative hub, for a turnaround year in 2016, calling it "one of the best years we’ve had in quite some time." SJR achieved 26% revenue growth last year, far higher than H+K’s 5% revenue growth in the U.S. and 2.6% globally. H+K acquired Group SJR in June 2013 with Jutkowitz taking on the additional title of vice chairman and chief global strategist at H+K alongside his duties as managing partner of SJR. Founded in 2004, SJR specializes in content creation, audience development, and insights and analytics. In a separate internal memo obtained by PRWeek, Jutkowitz expressed his enthusiasm for bringing together skillsets from H+K and SJR. "This transition will be a huge opportunity for all of us to develop new skills and work in parts of the businesses that are new to us—to color outside the lines and sharpen our competitive edge," he said. "We’ll also be working as a single company, convening talent and resources from everywhere in the U.S. and measuring our profits and losses in the same way." Jutkowitz has also served as CEO of Truffle Pig and Colloquial. Martin thanked Balsam for her "positive, fresh perspective" and her contributions to the agency in the memo, noting the role she played in helping the firm win the first global corporate communications AOR account for Procter & Gamble last year. Balsam also thanked H+K’s staff in a memo sent on Tuesday. "More recently, the firm started down a path toward a new structure and vision," she said in the memo, which was obtained by PRWeek. "While I was offered another opportunity within the agency – which I seriously considered, in no small part because of how much I’ve enjoyed working with and tackling new projects with so many of you – I ultimately decided that this time of reinvention for the firm was a good time to head down a different path myself." Balsam served as U.S. CEO for 18 months, joining the agency after an 11-year career at Citizen Relations, where she was most recently MD of its New York office and global lead on the agency’s Procter & Gamble relationship. Former Hill+Knowlton Americas president and CEO Mike Coates recruited Balsam for the position to "help reestablish our footprint in the consumer marketing space in the U.S. in support of our goal of diversifying our service offerings," Martin said in the memo. "Though I was hoping she’d stay with the agency in another capacity, she recently shared her decision to leave the firm," Martin wrote. Coates announced his retirement in October 2016. Goldy Hyder, Claudia Gioia, and Balsam, the CEOs of Canada, Latin America, and the U.S., respectively, began reporting directly to Martin at the time. This story was updated on May 17 with additional information.